Train operators, pubs and employers should rethink blanket bans on e-cigarette use which make smokers less likely to quit tobacco products and are not backed by evidence, MPs have said. A major report the Commons Science and Technology Committee has warned smokers are dying as a result of ministers’ misconceptions about the risks of e-cigarettes, and calls for a national debate and regulatory overhaul. Most public and private organisations have extended bans on smoking in public places to e-cigarettes, despite them being exempt from “smoke-free” legislation and being significantly safer. Instead vaping should be incentivised, MPs say, and dedicated vaping carriages on trains could be part of this. “It [vaping carriages] needs to be considered,” committee chair Norman Lamb MP told The Independent. “I would have no problem with that. “I would choose as a preference to sit somewhere where there wasn’t vaping, but there is not the same public healthargument to protect people from secondhand vape as there is for smoking. Although evidence on the risks of long-term use is still scarce, e-cigarettes do not pose a significant cancer risk and experts argue they are 95 per cent safer than conventional tobacco products. Mr Lamb, a former health minister, recognises there is a “nuisance issue” around the smell and cloud produced by vaping but these concerns are coloured by misplaced health fears. The committee found that even among health literate NHS trusts, two-thirds are concerned about the dangers of “secondhand e-cigarette vapour”. This is preventing common sense policies to promote them to smokers – particularly among mental health patients. “These blanket bans, treating it in the same way and pushing vapers in to the same ‘sin bin’ as smokers, is actually highly questionable in public health terms,” Mr Lamb added. “It makes it more difficult for people to give up smoking, it’s less of an incentive and it pushes people back in to the company of smokers so it increases the risk of returning to cigarettes. · Ensuring taxation continues to reflect relative risks, with e-cigarettes being the cheapest products, conventional tobacco products the most expensive. It adds “heat not burn” products, heavily marketed by tobacco companies, should “fall somewhere in between”. Experts consulted by the panel warned liberalising e-cigarettes may have unforeseen consequences, particularly if young people start using them, but the committee said this appears unlikely. The report notes: “Concerns about the risk of e-cigarettes potentially providing a ‘gateway’ into conventional smoking have not materialised to any significant degree. Experts welcomed the recommendations, saying that although they may seem “radical” the evidence backs drastic action to cut the risk of cancer deaths. Professor Linda Bauld from the University of Stirling said: “Its recommendations are not likely to be popular with all, and some of them may be difficult or complex to implement. Shirley Cramer, chief executive of the Royal College of Public Health, said speeding up licensing of e-cigarettes as medicines “potentially opens the door to thousands more smokers who would otherwise not consider vaping as a means of quitting”. 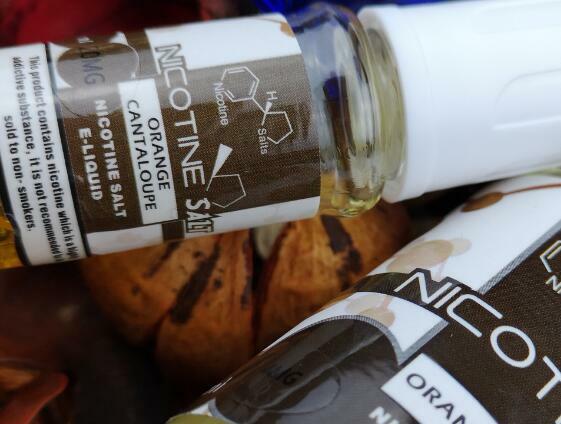 “We would emphasise to any smoker considering switching that not only is vaping a far safer alternative, it is also likely to be much more affordable,” she added.